Growing up in a home with six foster brothers and sisters who regularly rotated in and out of my life influenced my comfort in fluid environments. Over the course of my young life I shared a house with dozens of brothers and sisters, for varying periods of time. 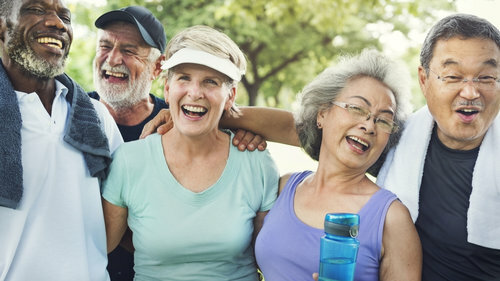 Many of them experienced trauma and attempted as best they know how to cope with its effects while we lived together – that had a profound impact on me. One of my foster brothers was a little boy named Tony, and his life left an imprint that shaped why I am fighting so hard for system change to support – and protect – our children. In this episode I depart from the usual question and answer format to tell a story about Tony’s life. I explain the growing pains of grappling with physical deformities that made every interaction for him very different than what most children experience. Tony’s life was both bright and full of life, and unbearably sad and tragic. Having a brother who dealt with so much, who needed so much care from such an early age, implanted a desire in me to fight for a society that is more nurturing and more protective of our young people. As I have grown up and reflected on the formative experiences created by having a brother like Tony, I also realize that we must step in and be intentional about breaking cycles of poverty and violence in the home if we are to take seriously a commitment to giving every person real opportunity. My life experiences created in me a desire for system change from the earliest moments before a child is even born. Tony’s best chance at a different life started with supporting his parents before he was born and we have proof that early intervention can prevent the life he was forced to lead. Tony’s life was an important lesson for me as I’ve become an advocate for children, but he was also just my little brother. In 2016, over 5,600 people slept on the streets every night in San Diego County. Nearly 4,000 more were homeless and cared for in some form of temporary housing such as a shelter. The trend over the last several years in San Diego County is an increase in senior homelessness and an increase in chronically homeless individuals – those who remain on the streets for more than one year and have some further disability. Our Hope4Homeless plan pushes to address these and other critical need areas. My commitment to addressing homelessness grew from a letter I received from my biological mother when I was in my 20s. In the letter, she asked me to go and thank her friends at the Neil Good Day Center, which provided her with help and support when she herself was homeless in San Diego many years prior. I knew my mother had mental illness and was disabled, but I didn’t know the extent of her experience, and as I walked from my car at 17th and Island past the discarded needles, trash, and sadness on the faces of the homeless men and women around me, I felt strongly I had to do more. I joined the board of Rachel’s Women’s Center and began to look for ways to better address homelessness. 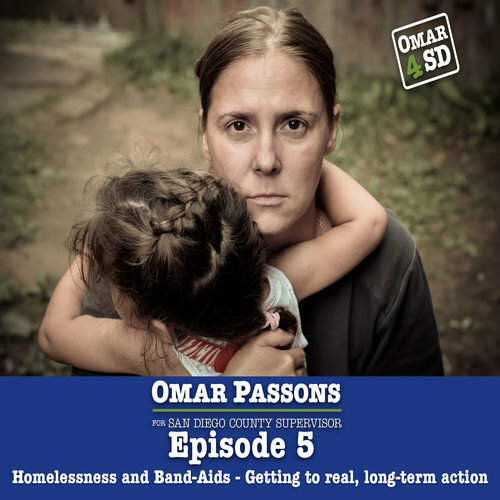 This episode details the specific challenges San Diego faces and explains the types of shifts in approach necessary to decrease the number of San Diegans who are experiencing homelessness. 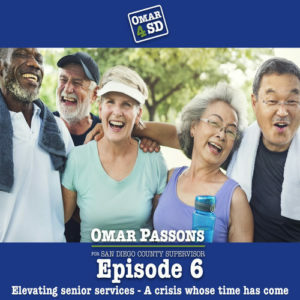 Critically, this episode also covers the long-term thinking necessary to reduce the number of people who ever enter the homeless system in the first place. Thanks for listening! In my early 30s I received a letter from my biological mother. 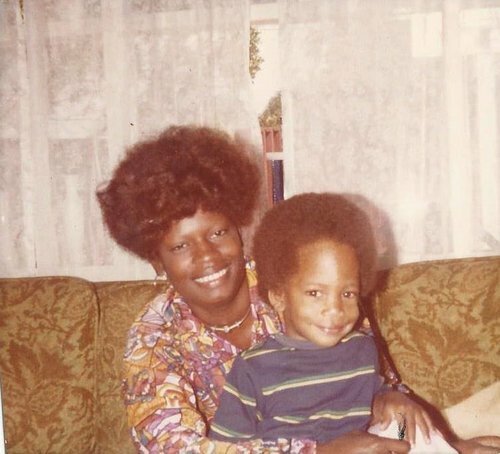 I grew up in San Diego’s foster care system so I did not know my mother for most of my life. In the letter, she asked me to go and thank her friends at the Neil Good Day Center for their help when she was homeless in San Diego. She was asking me to thank people who almost certainly were no longer there 25+ years later. I knew she had mental illness and was disabled, but I didn’t know the extent until I read that letter. I did as she asked and as I walked from my car near 17th and Island past the discarded needles, trash, and sadness on the faces of the homeless men and women around me, the experience really impacted me. I didn’t find anyone who remembered my mother, but the experience stayed with me. It motivated me to do more. I joined the board of Rachel’s Women’s Center and began to look for ways to better address homelessness. 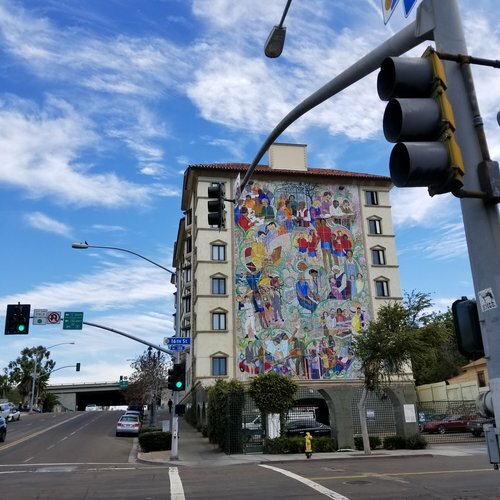 I joined the Board of United Way of San Diego County, who had been responsible for Project 25 – a wildly successful effort to house the most needy homeless San Diegans who were the highest users of health and law enforcement services. My biological mother’s life experiences shaped the contours of my life in ways I did not expect. I am grateful for the support I received, largely from the County of San Diego, and feel deeply that I have a debt to be repaid to help more San Diegans lead a life of dignity and opportunity. We released our Hope4Homeless plan as a recognition that the County can and must do more to focus on systems for reducing homelessness and must take on a bigger leadership role. It is a big part of why I am running for the Board of Supervisors and I intend to drive that leadership if elected. The County of San Diego supported me from birth – literally. I was born 10 weeks premature and the County’s emergency care for the poor kept me alive. When my biological mother couldn’t care for me, the County placed me in foster care, where I got nutrition, a speech pathologist, a child psychologist, and quality support. Now, I am a successful lawyer with a professional background in public health and I am able to give back to this community. I am living proof that early investment in young people works. Most foster children end up struggling, failing to graduate from high school, homeless or incarcerated. This is a cycle – for all children not just those in foster care – that the County of San Diego can break. Our StrongStarts4All plan envisions a broad system change that starts with parental education through expanded home visits for expectant parents and goes all the way through mental health and nutrition support, subsidized transportation for internships and education and focus on helping young people move into the world of work. The plan recognizes that the path to a strong workforce requires greater investment in our young people. 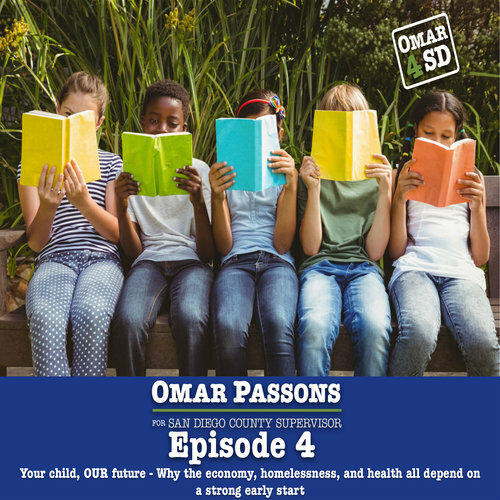 We make the bold assertion that the County must set an example by providing its employees with 4 months of paid family leave, because parents are a child’s first teacher and those early bonds are critical. What is more, paid family leave better enables gender equality so that women can more easily ascend to leadership roles in the workforce and any parent can elect to care for their children. While my life experiences shape my values and my belief that every child has a right to strong start and support, the scholar in me also appreciates that the economics research supports that this is the smartest investment we can make as a region.